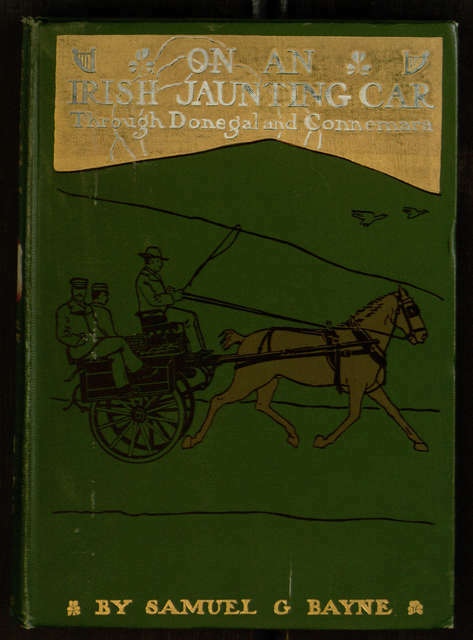 Our latest completed Distributed Proofreaders project is Samuel G. Bayne’s On an Irish Jaunting-car through Donegal and Connemara, the author’s commentary on a trip to explore a variety of scenic and historic sites in Ireland. The book is rather peculiar, mixing stretches historical summary and topographical description with personal observations and anecdotes. Neither the terrain nor the author’s journey is given enough detail to make this feel like either a travel narrative or a travel guide; instead, it reads more like a lightly edited personal notebook. We had a drove of pigs on board, and their feet were tied together with ropes, the four in a bunch, and the animals piled up in the curraghs till the boats would hold no more; then they were taken near the shore, liberated, and allowed to swim to land themselves. Their squealing and grunting was like an untrained Wagnerian band. 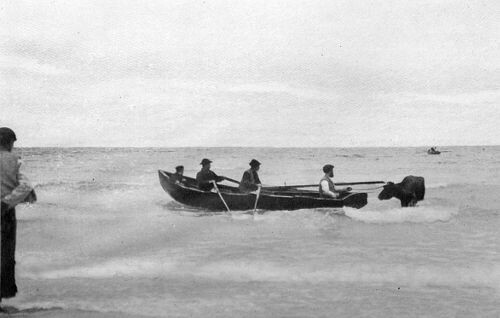 There was a cow on board, and she was pushed from the gangway by main strength, plunging headlong into the waves; there was a short pause, when she reappeared, swam ashore, shook herself, and unconcernedly began eating grass, none the worse for her bath. 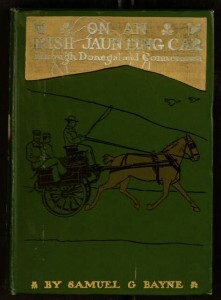 The rest of the book, which includes many further photographs, can be viewed online or downloaded in a variety of popular electronic formats at Project Gutenberg.